Real Madrid advanced to the Top 16 and became the top candidate to win Group D by thrashing Euroleague defending champion Panathinaikos 67-76 in Athens, Greece on Thursday night. Both teams tie atop the Group D standings each with a 6-2 record but Madrid ranks first due to its two wins against the Greens. In fact, Madrid will become the Group D champion with back-to-back wins against EWE Baskets Oldenburg and Armani Jeans Milano in early 2010. It was a special win for Madrid coach Ettore Messina returned to OAKA for the first time since losing the Euroleague final with CSKA against Panathinaikos in 2007. Louis Bullock led the winners with 15 points. Jorge Garbajosa added 13, Rimantas Kaukenas had 12 while Pablo Prigioni and Novica Velickovic each got 11 for Madrid. Drew Nicholas led Panathinaikos with 12 points. Mike Batiste, Nikola Pekovic and Nick Calathes each had 10 for the Greens. Madrid managed to double-team Pekovic in the first quarter and the whole Panathinaikos offense collapsed. Meanwhile, Darjus Lavrinovic, Kaukenas and Velickovic allowed the guests to get a 8-22 lead after 10 minutes. A patient offense and an inspired Velickovic helped Madrid to stay way ahead, 27-39, at halftime. Three-pointers by Stratos Perperoglou and Calathes got Panathinaikos as close as 40-50 but Bullock led a 5-16 run that sealed the outcome, 45-66, long before the final buzzer. Velickovic got Madrid going with a power layup, as Madrid opted for a tall lineup with him at small forward. A driving basket by Prigioni soon gave the guests a 0-4 lead. As usual, Panathinaikos opened the court with Antonis Fotsis at power forward to feed Pekovic down low. Lavrinovic managed to stop Pekovic in the early going, however, and Panathinaikos did not find open shots. A driving layup by Bullock ignited a 0-8 run that Lavrinovic capped with a back-to-back baskets to make coach Zeljko Obradovic stop the game at 2-12. Pekovic tried to change things with a layup but Kaukenas matched with a long jumper. Madrid kept using long possessions and excelled in defense, not allowing Panathinaikos to circulate the ball well and double-teaming Pekovic in each and every opportnity. Prigioni hit free throws that Batiste matched with a four-meter jumper. A technical foul on coach Obradovic allowed Prigioni and Lavrinovic to make it a 14-point game, 6-20. More foul shots by Lavrinovic, Batiste and Pekovic fixed the score at 8-22 after 10 minutes. Kaukenas scored in penetration early in the second quarter, as Madrid kept following its game plan - long possessions, attacking the hoop to force Batiste or Pekovic to make an extra effort in defense. Panathinaikos had adjusted its defense and free throws by Nicholas and Batiste got the crowd involved at 11-24. Garbajosa buried an open three-pointer and soon added a catch-and-shoot turnaround jumper for a 13-29 Madrid lead. Batiste shined with a tip-in and Spanoulis added a three-point play to give the Greens some hope at 18-29. Velickovic banked in a turnaround jumper and soon hit a six-meter shot off a timeout to keep Madrid way ahead, 18-33. Milenko Tepic and Bullock traded free throws but Panathinaikos struggled to get Batiste involved now. Madrid kept dominating the boards and played with patience in offense. Pekovic hit a jump hook that Velickovic matched with a put-back layup. Tomas Van den Spiegel dunked it but free throws by Perperoglou, Fotsis and Pekovic got the Greens within 27-39 at halftime. Lavrinovic had a big block on Pekovic immediately after the break but Panathinaikos had improved its defense. Pekovic got revenge with a two-handed dunk and Vassilis Spanoulis struck from downtown - Panathinaikos' first three-pointer after 10 attempts - for a 32-39 deficit. Madrid struggled to get Velickovic and Lavrinovic involved now but Bullock rescued the guests with a triple and Prigioni fed Garbajosa for a layup, good for a 32-44 lead. Prigioni kept pacing Madrid with an uncontested layup and a five-meter jumper by Garbajosa capped a 0-8 Madrid run, 32-48. Perperoglou and Calathes stepped up with consecutive triples from the left corner and free throws by Nicholas got the Greens as close as 40-50. Felipe Reyes scored down low and Bullock struck from downtown to boost the guests' lead to 41-55. Batiste scored in transition but Kaukenas bettered that with a three-pointer and Reyes gave Madrid a 43-60 lead. Fotsis shined with a reverse layup but a red hot Bullock buried a seven-meter bomb for a 18-point Madrid margin, 45-63, after 30 minutes. Panathinaikos needed a quick comeback to return to the game but Madrid kept following its game plan, using long possessions and staying aggressive in defense. Prigioni buried a big triple that made it a 21-point game, 45-66. Fotsis answered from downtown but Madrid controlled the game tempo through an outstanding Prigioni. Garbajosa sank free throws and Madrid kept trying to run the clock down. Free throws by Bullock sealed the outcome, 49-70, with 6 minutes left. Panathinaikos kept trying, however, as three-pointers by Nicholas and Perperoglou fueled a 12-0 run that Pekovic capped with a dunk to get the Greens within 61-70 with under 2 minutes left. Despite an incredible support from its home crowd, it was already too little, too late for the Euroleague defending champion. A three-pointer by Kaukenas allowed Madrid to celebrate not only that the team made it to the Top 16, but that also climbed back to first place in its tough regular season group. "It was a good win for our team, for our season, but most important for our confidence; Nothing more than that. We played well for three quarters, but in the last six minutes we didn’t move the ball well in offense, while we took bad shots, but overall we had a good game defensively and offensively. I can say that my players didn’t miss their focus at any part of the game. After this win, we go back with a little more confidence. " "Only during the three last minutes, we played the way we were supposed to play. In the first 37 we didn’t do it and Real Madrid beat us at home and took an important win. There is not much to say about the game, we have to go back to practice and give our best to have a strong reaction in the upcoming Euroleague battles." "We answered after two very bad games, one in the Euroleague and another one in ACB. We said we have to play much harder as a team, we must fight and we proved it during tonight’s game in Athens. It is never easy to play against Panathinaikos in their gym, but we showed we can beat everyone. 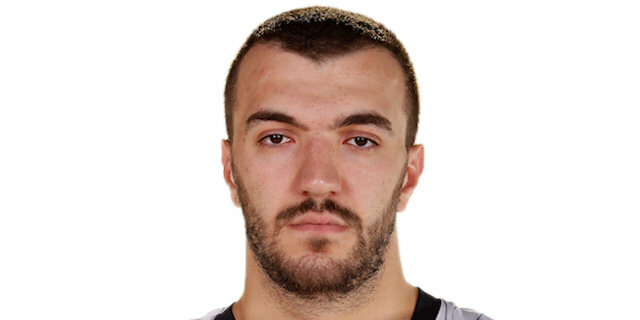 The key point was stopping Nikola Pekovic. He is the most dominant player under the basket, the strongest guy. In addition we played with heart. We are a good team and we have to continue if we want to take the first place in Group D."